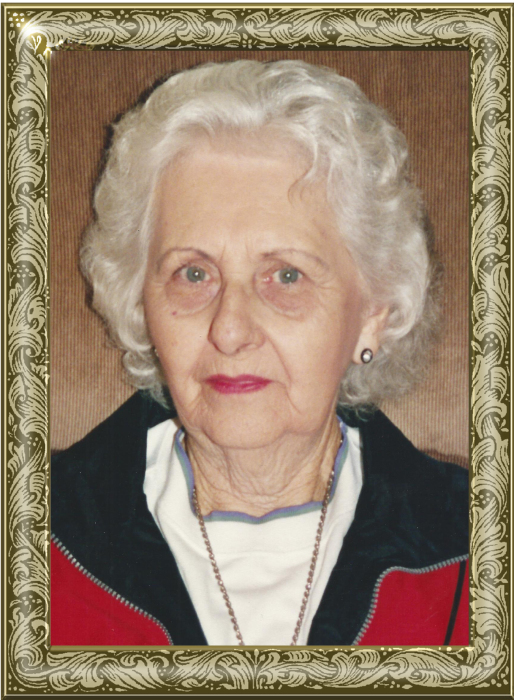 Mrs. Hazel Campbell Vasbinder, 98, of Marlowe Road, Hiddenite, passed away on Saturday, April 13, 2019 at Gordon Hospice House. She was born on February 12, 1921 in Alexander County, the daughter of the late Melvin Noah Campbell and Francis Kerley Campbell. She had worked as a waitress in several restaurants and was of the Baptist faith. She loved to watch her vegetable garden grow. She enjoyed playing cards Kings Corner was her daily game she played. She enjoyed company and always said Thanks for coming and she loved her family. Including her parents, she was preceded in death by: her husband, William Vasbinder; her daughter, Shirley Austin; her son, Tony Wayne Brackett; her granddaughter, Elizabeth Dalon; her sisters, Mayzo Childers, Pauline Erwin, Edith Campbell, Geraldine Shew, Little Shirley; her brothers, Fred Campbell, Glenn Campbell, Raymond Campbell, Thomas (Jr) Campbell, Jerry Wayne Campbell. Those left to cherish and honor her memory include: her son, William J. Campbell and wife, Carolyn; her sister, Margie Swiggett; her brother, Landon Noah Campbell; grandchildren, Dawn Campbell, Keith Campbell, Chad Campbell, Michael Austin, Sheila Ellis and numerous great-grandchildren, great-great-grandchildren, nieces and nephews. A graveside service will be held at 3:30 p.m., Wednesday, April 17, 2019 in the Bethel Baptist Church Cemetery. Rev. Taylor Miller will officiate. In lieu of flowers, memorials may be made to: Gordon Hospice House, 2341 Simonton Road, Statesville, NC 28625. The family would like to express their thanks to the doctors, nurses and staff at Gordon Hospice House for their kind and excellent care they gave to our loved one. Adams Funeral Home and cremation services is honored to be serving the Campbell-Vasbinder Family.